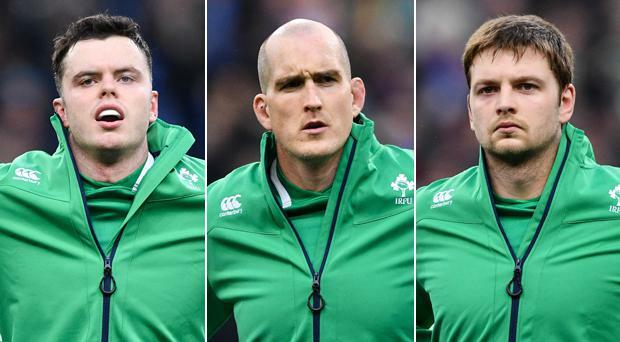 There is a streak of decency running through Devin Toner that is as long as he is tall. The Moynalvey native is low-key in his demeanour and in his playing life. He just wants to get on with the job of doing his job. But, what happens when the job is taken away from him? Or, when it is diminished? Ireland coach Joe Schmidt has a plan for just about everything within his control. What he cannot legislate for is the reaction and attitude of those who have been disappointed. The rise of James Ryan was always a mere matter of fitness and time. Nothing else. It takes a big man to absorb all the gold standard complements draped around the neck of a rival. Toner is a big man. Not just physically. He will do what best serves his club and his country. All of a sudden, he has to watch his back at Leinster and at Ireland. When the Champions Cup quarter-final swings around, Leo Cullen will have a decision to make. Will it be Scott Fardy and Toner? Will it be Fardy and Ryan? Will it be Toner and Ryan? The simple fact that Ryan has moved into pole position for Ireland means there is no limit on what he can do to impress Cullen at the highest level. The two men, Toner and Ryan, are team-mates. Sure. Now that Ryan’s short apprenticeship has been served, they are playing for reward in the same position. The maturity of the British & Irish Lions lock Iain Henderson meant there was only ever going to be one shirt for these two men in the Six Naitons. If Toner was to retain his grip on the front row of that two-man grid, he had to start against France. After all, it was made for the set-piece dominance of Toner. Schmidt knew long before the flight left Dublin for Paris that the weather conditions would not be kind. He knew it would be a slowed-down slog at Stade de France where possession, territory, physical confrontation and the churning out of hard yards would be the order of the 80. It all pointed towards Toner to start with Ryan for impact from the bench. Instead, Schmidt knew what he had on his hands. The 2019 Rugby World Cup is creeping closer and he wanted to invest in a potential world-beater. When Ryan was dropped in for his first Six Nations start on his fifth cap, in the most testing environment in the Six Nation, it revealed the future had arrived. All things being equal, Henderson and Ryan are in place for the foreseeable future. What had Toner to say about Ryan? “He’s a phenomenal talent. “He’s a young lad, he’s hugely fit. He’s strong, a good lineout jumper, so he’s obviously a great player. The gift of talent and the commitment to realise it led Ryan, 21, to debut for Ireland before Leinster when a Grade-3 hamstring tear ruined almost all of last season. In Toner’s case, he was originally a project piece that had to be steadily sculpted due to his unique dimensions. He made his Leinster debut as a 19-year-old against Border Reivers in January 2006 for the first of his 211 caps. Toner had to wait almost six years to earn the first of his 54 Ireland caps against Samoa in November 2011. The first Six Nations start came against Scotland in February of 2014, more than eight years later. In contrast, Ryan made the same move from Leinster debut to Six Nations start in five months. It is precisely because Toner had to work so hard for so long that he is so reluctant to let go. “I’ve had that taste of starting for the last little while,” he stated. For all of that, Toner did have the satisfaction of being there hammering away at the end in Stade de France rather than sitting powerless on the bench like Ryan. “Because of that 41 phases. I was fairly blowing afterwards. “I felt like I’d played the whole game, not 10 minutes,” he shared. “You had the immediate euphoria on the pitch. “As soon as we were back in the changing room, it was relief because we shouldn’t have got in that position in the first place. “The same thing happened two years ago, where they came back to win by a point. The Meath man has been displaced by the new Paul O’Connell. So they say. It was the Munster legend, who stood in his way for years. Toner has come too far for too long to back down now. WATCH: The top five greatest-ever drop goals - Where does Johnny Sexton's Paris gem rank?